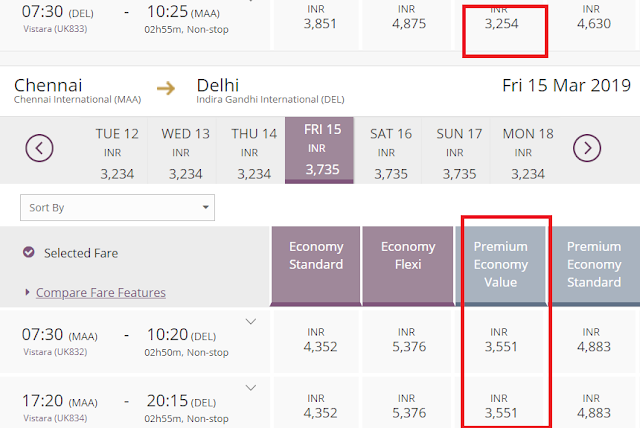 Home / airlines / tips / Vistara pricing error?-Premium economy cheaper than economy! Vistara pricing error?-Premium economy cheaper than economy! Vistara is running several sales and offers of late. Their service is good and prices are tempting- particularly during sale/offer. They have very limited network from Chennai hence my options are limited, but if you're keen, do check and book. One thing I noticed again n again with Vistara is that their Premium Economy is often priced lower than Economy. I've written about it one and a half years ago in this post- the same is seen recently also- Only this time the gap has grown wider. Premium Economy is cheaper than Economy by 500 to 800 rupees. 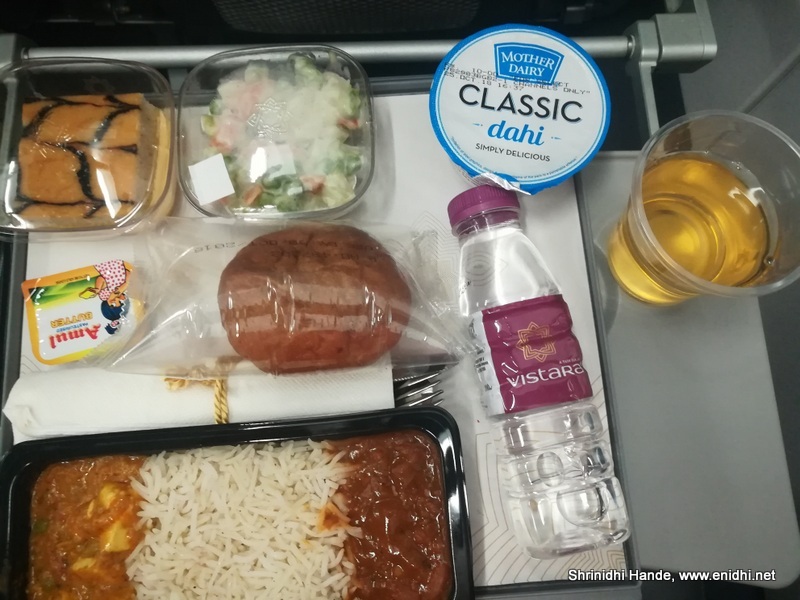 Why would Vistara do it? Is it a mistake? Note that at times Economy Lite options are NOT given. If it was there it could have been more cheaper may be. I don't know. Is it intentional and by design? 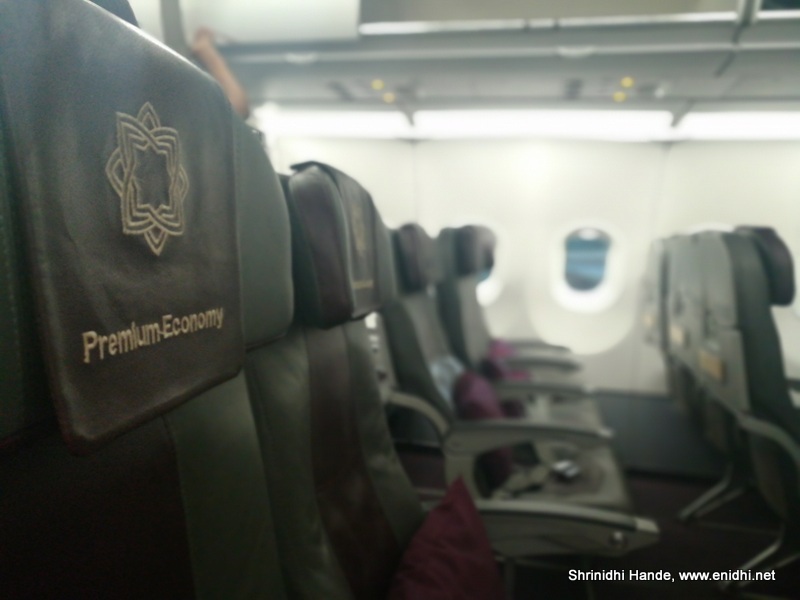 May be only few economy seats are left while several Premium Economy seats are empty- May be Vistara is trying to push some passengers into buying Premium Economy so that remaining Economy seats could be sold for higher price last minute? It could also be a deliberate ploy to get some economy passengers accustomed to Premium Economy- once they get hooked to Premium Economy product n services, may be next time they may book Premium Economy by paying extra over Economy. - Slightly better attention in cabin and possibly some empty seats around as premium cabins often have unsold empty seats compared to cattle class. Above pricing of Rs 3500 for Chennai-Delhi very good for Premium Economy. (lowest I have seen in Economy is about Rs 2200, but that is hard to spot if you're particular about a date n time. Around 2700-3000 is pretty reasonable price for Economy, 3500 for Premium Economy is a good deal- because unless you plan well, a normal economy ticket itself may cost that much.